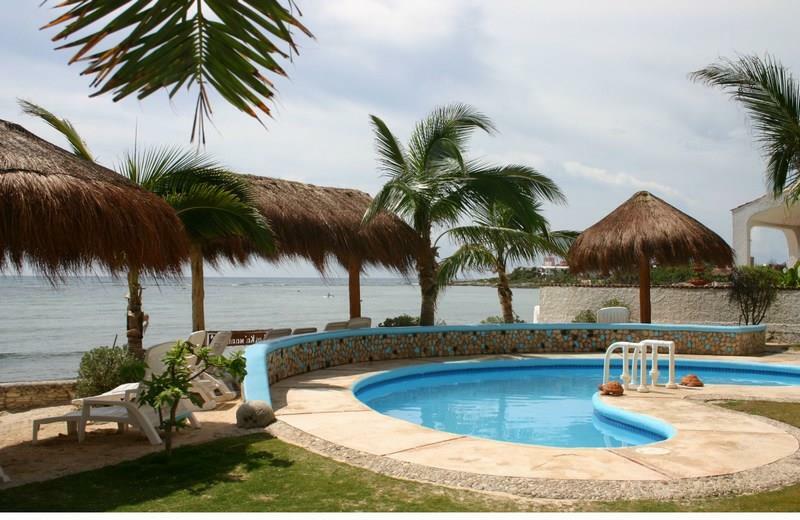 Third floor beachfront condo on Half Moon Bay in Akumal for sale. Two bedroom, two bath with sprawling ocean views, even from the master shower. Fully furnished and ready to relax in the deck hammock or go down to the private pool with beach palapas and huge grill. Internet and U.S. tv is in place. On site management takes care of your guests. Plenty of restuarants and shopping within walking distance. The condo's rental website is also included. Enjoy snorkling in the bay watching sea turtles, rays and an array of fish without a worry. NO JET SKIS ALLOWED. This complex was featured on HGTV's Beachfront Bargain Hunt and the couple chose Lol Kanaab for their Caribbean getaway.